A brief bio: Owner of The Garden Junkie in Murdock, NE . A small rural community located 7 miles south of I-80 right between Omaha and Lincoln. Master Gardener with the University of NE in 1988 and have been teaching and gardening ever since. 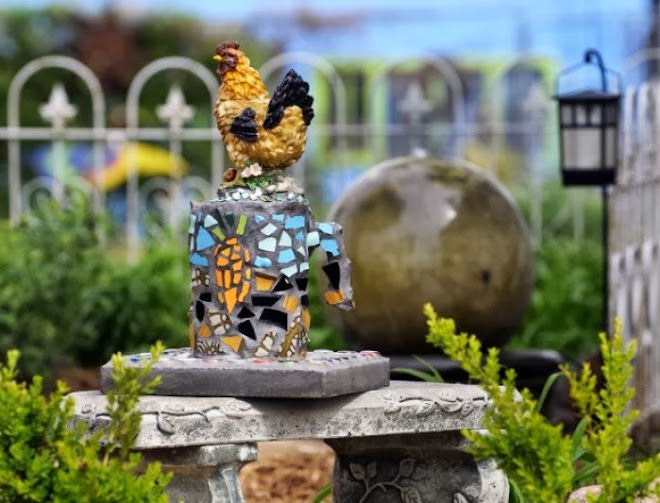 Organic gardening of flowers and veggies on 4 flat acres and creating garden art out of mosaics and "re-pourposed" junk. Married and old enough to have many grandchildren. Love hosting garden clubs, ladies groups, Girl Scouts and Art Classes here at the farm.